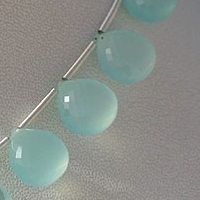 Adorn the dyed chalcedony heart briolette beads known for its powerful magnetic energy. 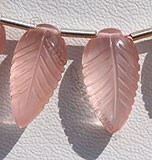 It has the ability to heal body ailments such as: cough, throat infections, and flu. 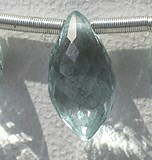 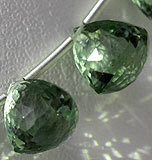 Our precious gems are believed to bring good luck, counteract stress, and neutralize anger. 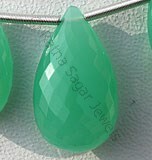 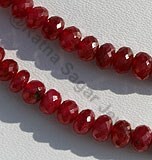 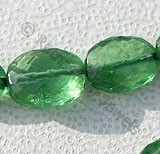 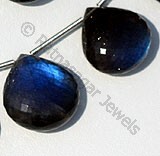 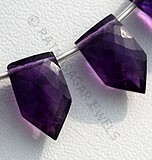 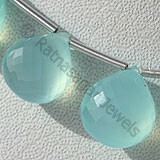 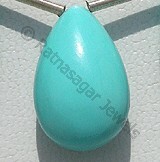 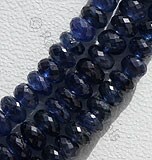 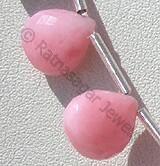 Ratna Sagar Jewels is the leading manufacturer, supplier and exporter of AAA quality Heart Briolette gemstone beads. 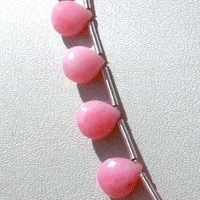 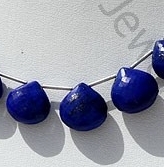 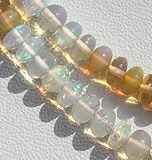 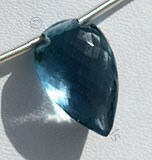 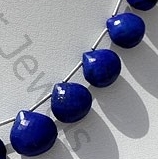 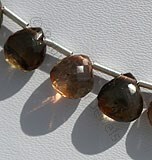 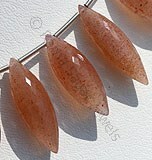 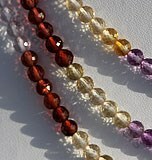 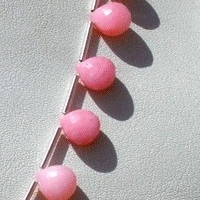 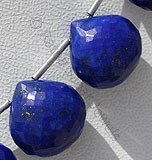 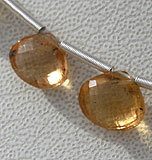 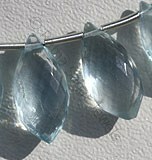 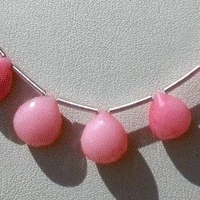 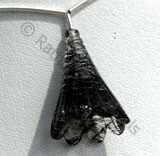 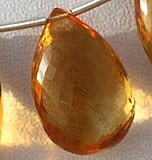 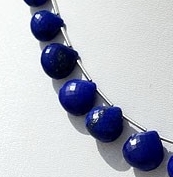 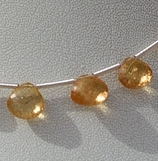 The beads are available in myriad shapes, colors, and sizes. 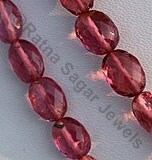 We use Parsan machine to create each strand of our Heart Briolette shaped gemstone beads. 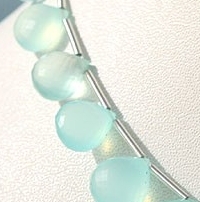 Our collection includes Dyed Sea Blue Chalcedony, Imperial Topaz, Pink Opal, Lapis, and Andalusite. 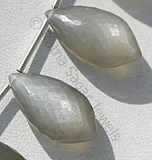 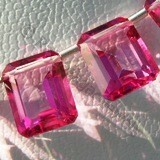 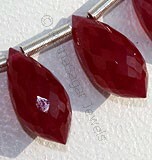 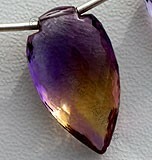 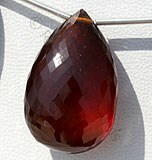 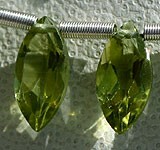 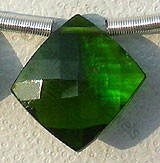 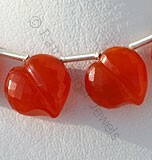 Order today - stunning heart briolette at wholesale price. 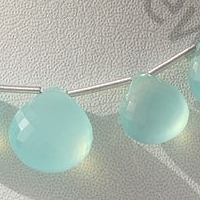 Dyed Chalcedony Gemstone is a Cryptocrystalline composed of minerals quartz, which is heated and dyed to gives sea-blue color, possess property of semi-transparent and are available in aqua sea-blue color with micro flower cut, Heart Shape. 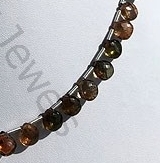 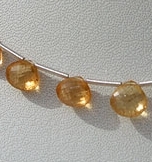 Natural Imperial Topaz Gemstone Beads possess property of Transparent, natural veins and are available in lustrous golden orange yellow and pink colour with micro flower cut, Heart Shape. 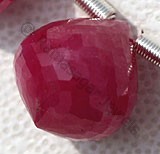 Pink Opal is a healing gemstone is a variety of mineral opal, possess property of opaque with Vitreous to waxy luster and are available in rose-pink color with micro flower cut, Heart shape. 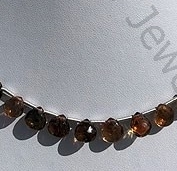 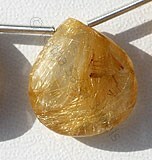 Natural Andalusite Gemstone is variety of fascinating colors, possess property of transparent with vitreous luster and are available in red-brown to olive-green color with micro cut, Heart Shape.